Maj. Charles Trickey, 461st Flight Test Squadron F-35 experimental test pilot, was in the cockpit and fired one burst of 30 rounds and two 60-round bursts, each at 20,000 feet. At full rate, it can fire 3,000 rounds per minute. The 25mm gun is embedded in the F-35A’s left wing, hidden behind closed doors to reduce its radar cross section until the trigger is pulled. 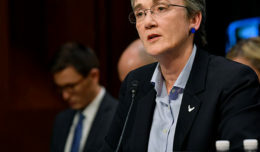 Jennifer Schleifer, Lockheed Martin AF-2 lead flight test engineer and test director, said the team expects to fire the gun once or twice a week until this phase of airborne gunfire testing is complete. She added that, weather permitting, they could be done by the end of the year. The first firing was not aimed at any target, the goal was only to make sure the gun functions properly in flight. When the pilot is ready to fire, a complex system of doors exposes the muzzle and allows for ventilation. Keeping the gun hidden behind closed doors until the trigger is pulled allows the stealth platform to remain stealthy. Todd Ankeny, Lockheed Martin Flight test engineer and test conductor, added that it’s an important capability for the jet that gives it “teeth.” The GAU-22 was primarily designed for air-to-ground attack, such as taking out lightly armored vehicles. It can also be used for air-to-air combat. As the testing continues, as many test pilots in the squadron as possible will get a chance to fly and shoot. 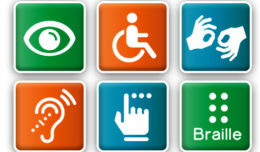 “We’re going to try to get as much exposure to this as possible. There are a lot of test pilots in the squadron and there’s some value in getting more opinions and getting more pilots exposed to it,” said Trickey. In the next sorties the pilot will expand the envelope by performing 7G turns, -3G turns, flying at Mach 1.44 and reaching 40,000 feet. They will also do a burst fire to empty all 181 rounds that the gun carries. Some of the tests will be done at China Lake, but most of the remaining flights will be done over the Sea Test Range at Naval Air Station Point Mugu, Calif.
“We’re going to have elevated G and supersonic flights, and some of those things you really can’t do over the land range,” said Trickey. The F-35A is a conventional take-off and landing aircraft and the only model with the GAU-22/A 25mm Gun system mounted internally. The Marine Corps variant B-model and Navy variant C-model will eventually have the gun in a pod mounted to the center line. 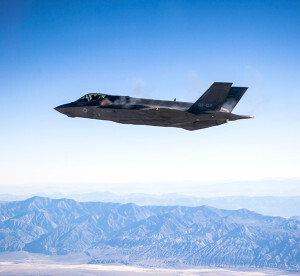 “They haven’t shot [their guns] airborne either so you could say this was the first F-35 airborne gunfire ever on any variant and that’s why we’re so excited about it,” said Trickey. AF-2 is a flight sciences airplane and has more hours than any other F-35 in the world. Typically, it has been used as a loads airframe and for expanding the envelope for structures. For this test, it underwent an extensive structural modification at Edwards to a fully production representative internal gun configuration. AF-2 is instrumented differently than other F-35’s for data collection. Clearing the gun for airborne use is a key milestone towards Air Force initial operating capability of the F-35A. The program’s development and demonstration phase is scheduled to end in 2017, at which point the F-35 will have an operational gun. The F-35 Joint Strike Fighter ITF is made up of active duty Air Force members, civilian government employees, and Lockheed Martin and Northrop Grumman employees. 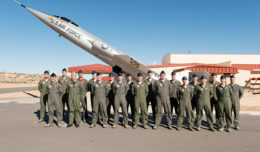 Members of the team represent a range of disciplines including power thermal management and flight control systems, flying qualities, fuels, weapons, propulsions, loads, instrumentation and electrical systems.